Want some answers to help you plan your career or job search? 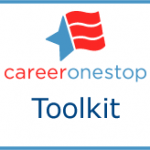 CareerOneStop packages stacks of useful data in easy-to-use chunks, so you can quickly find what you are looking for. Looking for career, training, or job info on the go? 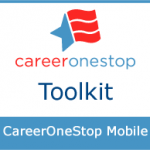 CareerOneStop has collected six of its most popular career, job, and training tools into one free app—now available for Android or iPhone.